Whether it's a brand new unit or one that has existed with your system for some time, subwoofers may not operate as expected. The reasons are often simple yet easily overlooked, especially if others share the same stereo equipment. So before you decide to remove and replace a supposedly bad subwoofer, run through these quick steps (very similar to when a stereo system won't make any sound) to diagnose and fix the problem. Worst-case scenario? You might to get to go shopping for an upgrade. Before you get started, make sure all equipment is turned off, including the subwoofer. You never want to connect or disconnect any cables while anything is on, lest something incurs accidental damage. Starting from the subwoofer, check all the wires and connection points running to amplifiers, receivers, or speakers. If you own multiple subwoofers, might as well give the others a cursory inspection. Check to make sure that cables are firmly connected and plugged into the correct spots. The input(s) on the back of the subwoofer generally plug into the subwoofer output on the back of receivers/amplifiers. If the subwoofer connects to speaker outputs on the receiver/amplifier, inspect the entire length of wire connections for defects. If any bit of wire appears to be worn, torn, or damaged, replace them before attempting to use the equipment again. You can also perform a quick test on the wires to check that they work. Most subwoofers have a "standby" LED that glows to indicate active power. If this is not lit up, check that the subwoofer is securely plugged into a wall socket, surge protector, or power strip. If a plug's prongs slip out halfway – it's often enough to prevent the flow of power – you can gently bend them so the cable will stay connected after you let go. Make sure that all associated switches (i.e. ones on walls, power strips, etc.) are flipped to the on position. If the subwoofer still doesn't power on, try plugging it into a different outlet that you know works properly. As with the speaker wires. inspect the subwoofer's power cable for any damage or defects. While a little more involving, it is possible to repair broken or cut cords. Some subwoofers are equipped with a fuse, which may or may not require removal of a back plate. If said fuse is a feature, and if you're comfortable tinkering with electronics, go ahead and check to see if it needs replacing. Otherwise, consult the manufacturer or local repair shop first. If all the wires and cables look good, revisit the menu settings on your receiver/amplifier – you never know when someone might have accidentally changed it all. Check that the subwoofer is associated with the proper audio input selection(s). Make sure that the subwoofer's output hasn't also been adjusted down. If the receiver/amplifier offers speaker size settings, choose the 'small' option first; sometimes setting the speaker size to 'large' makes it so that the subwoofer doesn't receive a signal. Some receivers will in fact allow subwoofers to operate with a 'large' speaker setting, so consult the product manual for additional details. After all connections and settings have been verified, turn on the subwoofer. Be sure to check the volume level on the subwoofer and/or receiver/amplifier before sending any audio input. Start the volume down low and gradually increase in order to determine if the subwoofer is working correctly or not. Choose music test tracks that feature low-end bass content so there is no question one way or another. If you can feel the boom, then congratulations on the success! If the subwoofer doesn't power on at all, or it powers on but won't play a thing, then there's a good chance that it is defective and needs to be replaced. If possible, connect a separate subwoofer up to the receiver/amplifier to test and make sure the hardware malfunction isn't related to the receiver/amplifier. If the second subwoofer works, then it's very likely the original is indeed bad. 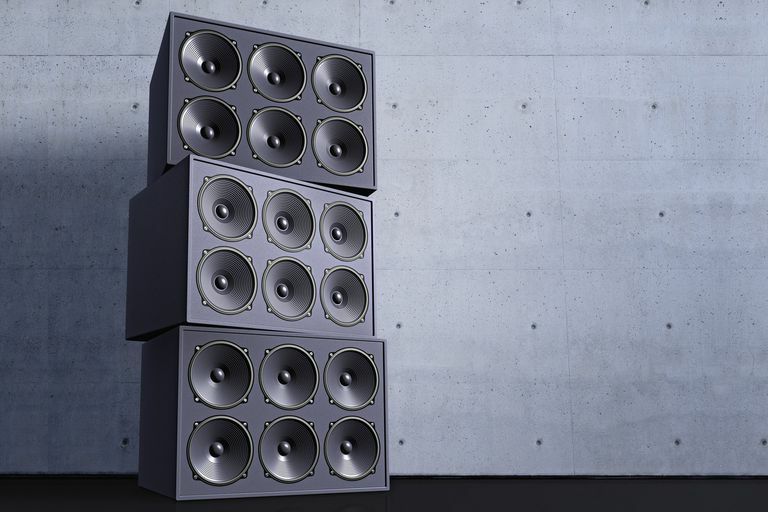 But before you start shopping, be sure to brush up on your subwoofer basics so you know what might best suit your preferences. If neither subwoofers work, then you might need to troubleshoot that receiver/amplifier.